As part of our mission to be the go-to resource for on-the-go restaurant industry professionals, Modern Restaurant Management magazine (MRM) offers highlights of recent research. This end-of-September edition features news about the sales potential of big-box office attractions for restaurants, millennials and organics and the evolving world of cocktails. Our friends at CAKE were curious and wanted to know if the old-standby dinner and a movie was still a weekend staple. 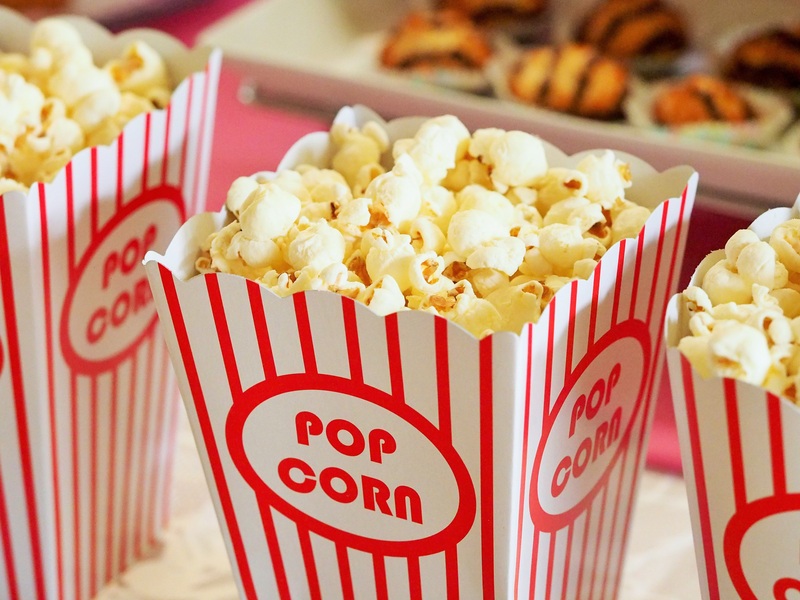 Do restaurants actually see an increase in diners and revenue when big name titles are released in the cinema? Valentine’s Day weekend (Feb. 12 – 14) saw one of the most notable upticks, with new release revenues up an average of 150 percent and restaurant revenues up an average of 27 percent. The traditional summer blockbuster fell flat this year, with just a one percent increase in box office revenues over fourth of July weekend and three percent increase in restaurant revenues; by contrast, Memorial Day weekend saw a 19 percent uptick at the cinema tied to a percent percent increase in restaurant revenues. This is just one example of the ways in which data can help restaurant owners make more informed decisions. So – is dinner and a movie still the hot date it once was? The answer is usually yes, if the movie is a big hit. Restaurant owners looking to attract diners should tie promotions and advertising to the year’s most anticipated releases, especially around Valentine’s Day and Memorial Day Weekend. “We were very shocked to see that “Finding Dory’s” opening weekend correlated to more restaurant business than “Star Wars” or “Deadpool,” Kulasooriya noted. What can restaurant owners and managers take away from this survey? Our friends at TigerChef create this great infographic that hits home how important restaurants are. Mastercard released its 2016 Global Destination Cities Index, which examined spending breakdowns for each destination city for the first time. The Index found that visitors to Istanbul spend more on food and beverage (30.8 percent of expenditures) than any other city on the global top 20 list. After Istanbul, other top 20 destination cities where visitors spend more on dining experiences are primarily European cities – Barcelona (29 percent), Prague (27.4 percent), Amsterdam (25 percent) and Osaka (22.4 percent). Dubai is ranked the number one spending destination based on an international spend of US$31.3 billion. Visitor spending jumped 11 percent year-over-year. Overall, the destination city where spending on food and beverage ranks highest on the expenditure breakdown is Cairo (41.2 percent). Among the top 20 destination cities, more people travel internationally for leisure than for business, and experiences continue to be an important part of international travel. Louisville, KY., average price for a cappuccino, $2.83, which is 1.7 times lower than in Honolulu, the city with the highest, $4.69. Hialeah, FL., has the lowest average price per pack of coffee, $3.47, which is 2.2 times lower than in Honolulu, the city with the highest, $7.56. Portland, OR., has the most coffee shops, coffeehouses and cafés per 100,000 residents, 101.71, which is 32.5 times higher than in Laredo, Texas, the city with the fewest, 3.13. Portland, OR., has the most coffee and tea manufacturers per 100,000 residents, which is 38 times higher than in Riverside and San Bernardino, Calif., the cities with the fewest. Orlando, FL., has the most donut shops per 100,000 residents, 18.46, which is 18 times higher than in Anchorage, Alaska, the city with the fewest, 1.00. Redfin, the next-generation real estate brokerage, also chimed in on ultimate cities for coffee lovers. 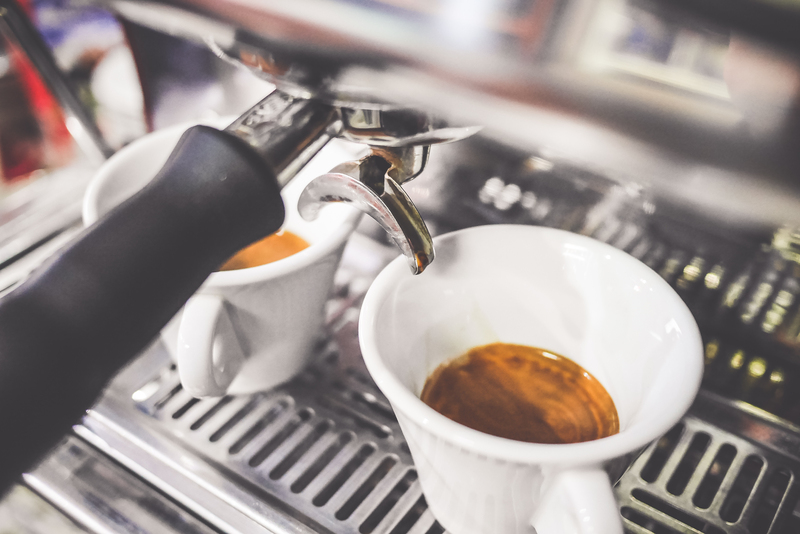 To identify these coffee capitals, Redfin data scientists looked at Walk Score data in 100 cities across the U.S. and found the top 10 with the most coffee shops per capita. For each city, Redfin also highlighted the ZIP code with the most coffee shops per person. “The Millennial consumer and head of household is changing the landscape of our food industry,” said Laura Batcha, CEO and Executive Director of the Organic Trade Association. “Our survey shows that Millennial parents seek out organic because they are more aware of the benefits of organic, that they place a greater value on knowing how their food was grown and produced, and that they are deeply committed to supporting a food system that sustains and nurtures the environment.” OTA has partnered with KIWI Magazine to conduct surveys of the organic buying patterns of households since 2009. This year’s survey marks the first time that generational buying habits have been studied. 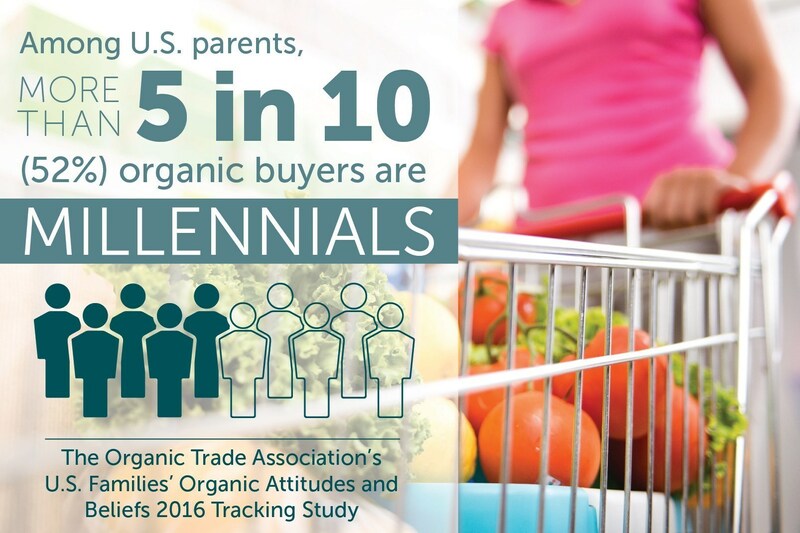 Compared to Millennials who account for 52 percent of organic buyers, Generation X parents made up 35 percent of parents choosing organic, and Baby Boomers just 14 percent. OTA’s U.S. Families’ Organic Attitudes and Beliefs 2016 Tracking Study, a survey of more than 1,800 households throughout the country with at least one child under 18, found that more than eight in ten (82 percent) U.S. families say they buy organic sometimes, one of the highest levels in the survey’s seven-year lifetime. The number of families never buying organic has steadily decreased, going from almost 30 percent in 2009 to just 18 percent today. Knowledge about organic is also growing across the generational spectrum of parents, but Millennials in particular are likely to view themselves as very knowledgable about organic products, with nearly 8 in 10 (77 percent) reporting that they are “well informed” (34 percent) or “know quite a bit” (44 percent). With that knowledge comes a great deal of trust for the organic label. Parents’ trust in organic labeling is the strongest and highest among Millennials, with 54 percent saying they have confidence in the integrity of the organic label. Almost 60 percent of Millennial parents say thay have a “strong connection” with the label and feel the organic label is an important part of how they shop for food. Hold the New York-style pastrami and pizza. An analysis by one of the world’s largest seafood providers suggests that New York locals may actually prefer salmon. The internal analysis, conducted by Chicken of the Sea, ranked New York among the Top 10 Salmon Cities in the United States. This means that local New York residents eat more fresh and shelf-stable salmon per person than their counterparts in other U.S. cities, have the potential to eat more salmon or are more likely to try new salmon products, prepare salmon recipes or order salmon as a meal. Beyond New York, the other Top 10 Salmon Cities include Anchorage, Alaska; Baltimore; Chicago; Cincinnati, Columbus, Ohio; Nashville, Tenn.; San Diego; Seattle; and Washington, D.C.
Lower retail prices for several foods, including eggs, whole milk, cheddar cheese, chicken breast, sirloin tip roast and ground chuck resulted in a decrease in the American Farm Bureau Federation’s Fall Harvest Marketbasket Survey. The informal survey shows the total cost of 16 food items that can be used to prepare one or more meals was $49.70, down $4.40 or eight percent compared to a survey conducted a year ago. Of the 16 items surveyed, 13 decreased and three increased in average price. Egg prices dropped significantly due to production recovering well from the 2014 avian influenza, according to John Newton, AFBF director, market intelligence. Milk prices are down substantially, particularly compared to record-highs in 2014, due to the current global dairy surplus. “For all commodities in agriculture there is a lot of product on hand and prices are depressed,” Newton explained. “Dry conditions in the Northeast and Northwest the last few years likely contributed to smaller supplies and higher retail prices for apples,” Newton said. In addition, he said salad prices are up due to lower output particularly in California and Arizona. More than non-GMO, more than local, organic, or natural, more even than low price, consumers value freshness in food—and nothing says freshness like garden-fresh vegetables or fruit, according to market research publisher Packaged Facts in the brand new report, Garden and Grove: Culinary Trend Tracking Series (CuTTS). Packaged Facts consumer survey data from April 2016 show that freshness is the most important food characteristic to consumers across the board. This fandom for freshness extends to influential consumer segments such as Millennials, further securing the status of freshness at the center of culinary trends. Packaged Facts’ Culinary Trend Tracking Series (CuTTS) is the essential source for tracking culinary trends and opportunities in the restaurant, foodservice, retail prepared foods, and packaged food and beverage sectors. This latest edition Garden and Grove: CuTTS profiles six essential “garden and grove” food trends that are driving innovation in restaurants and retail: celery and fennel; fresh mint; radishes; specialty salad greens; shishito, Peppadew, and ghost peppers as emerging hot peppers; and cocktail bar fruit. Celery and Fennel – Celery and fennel each offer multiple opportunities in both restaurants and retail because of their versatility and the ability to use all parts of the plants in various ways. Use of fennel, in particular, is spreading rapidly in casual dining and fast casual restaurants. And both celery and fennel offer options for those looking for a brighter flavor and color during the winter months. Treating both vegetables as value-added products in grocery stores by displaying all the various parts together — bulb, root, stem, leaves, even seeds and pollen—draws and educates shoppers eager for new kitchen adventures. Fresh Mint – Mint can work miracles on menus. Beyond mint jelly with lamb chops, beyond tea and juleps and mojitos, fresh mint is enlivening appetizers, sandwiches, salads, relishes and salsas, and other savory dishes. Further, channeling the spirit of international cuisines is one of the best things spices and herbs like mint can do for food. With mint part of the arsenal of so many different on-trend cuisines—from Vietnamese to Mediterranean to Mexican—it’s not surprising that chains are starting to pick up the trend, using mint as a kind of shorthand for authenticity. Radishes – Highly adaptable in the supermarket environment, the radish is a traditional salad bar item that can be sold as a value-added vegetable in the produce aisle, a burger topping at the deli counter, and as a roast chicken accompaniment on the hot food bar. Fast casual restaurants can take a cue from food trucks and juice bars by adding a peppery punch of radish to everything from fish tacos to breakfast smoothies. Specialty Greens – The world of specialty salad greens—including not only lettuces but also herbs such as sorrel and the many varieties of microgreens—is growing by leaps and bounds. Specialty salad greens add flavor, texture, color and value not only to salads, but also to small plates, as side-salad garnishes for appetizers and entrees, in sandwiches, and in other menu applications. Their availability is also growing at retail, particularly in the area of specialty mixes. Emerging Specialty Peppers – More consumers are seeking new and bold flavors in the form of hit heat-’em-up products like specialty peppers. And as consumer interest in ethnic foods and hot, spicy flavors continues to grow, lesser-known peppers are moving into the mainstream. Three of these newly “hot” hot pepper varieties are shishito, Peppadew, and ghost pepper or bhut jolokia. It’s safe to assume that these peppers will continue to infiltrate mainstream menus and retailers, cropping up in more varied applications, such as soups, relishes and sauces, entrees, and side dishes. Cocktail Bar Fruit – All kinds of fruit are popular in cocktails, but consumers are increasingly interested in fresh, local ingredients, as well as internationally-inspired beverages. Focusing beverage menus on farm-to-glass offerings appeals to food-savvy customers (i.e., Millennials and Hispanics) and boosts premium alcohol sales. In addition, as spirits continue to grow in market share against beer and wine, cocktail culture is becoming more influential, providing new opportunities for fruit of all types to get in on the party, and also for non-alcoholic fresh beverages to follow and learn some tips from cocktails. Feeding America’s Map the Meal Gap 2016 study finds many low-income communities that are home to a significant number of food-insecure households have higher-than-average food costs. The study, released earlier this year finds that, on average, food-secure individuals report spending $2.89 per person, per meal. This marks a slight increase from the national average of $2.79 as reported in 2015. Map the Meal Gap 2016 estimates the relative cost of an average meal for each county in the nation based on data provided by Nielsen (NYSE: NLSN), a global provider of information and insights. The lowest meal cost is $2.02, in Maverick and Willacy Counties, Texas. The highest meal cost is $5.61, in Crook County, Oregon. The meal-cost data demonstrates that 25.4 million food-insecure people, more than half of the total reported, live in areas where food costs are higher than the national average. Among the 77 counties with estimated food-insecure populations of 100,000 or more, meal costs are 5 percent higher on average. In New York County, where more than 243,000 individuals are estimated to be food insecure, the average meal cost is 58 percent higher. According to Valassis’ 2016 Purse String Survey, consumers using savings apps have grown from 36 percent to 49 percent over the last two years among savings-minded shoppers. Additionally, more than half of these consumers say they have visited a store, restaurant or business after getting an offer on their smartphone when near the location – and 72 percent report checking their mobile devices for coupons and offers while they are in a store. With this in mind, as consumers look to save and use a variety of physical and digital channels on their journey, local brands need to cater to the evolving path to purchase. Cocktail culture is booming and showing no signs of slowing, with forecasts showing that by 2020, there will be 400 million new consumers drinking luxury spirits. Historically cocktails were enjoyed by the Europeans and Americans but the industry is now growing on a global scale, stretching far beyond the confines of New York and London. In the past five years, consumption of spirits has risen by 26 percent in Africa and the Middle East, 15 percent across Asia and 22 percent in China. In turn, cocktails are leading the way on a global scale with bartenders experimenting with ingredients and playing with technologies to satisfy the senses. But in a world where we are constantly looking for the next big thing, they need to be one step ahead of the game. WORLD CLASS, the bartender competition – an initiative by spirits company Diageo to inspire the world to drink better – has partnered with renowned future consultancy, The Future Laboratory, to delve into the future of cocktails and reveal the trends set to revolutionise our drinking experiences. The Context: As we spend more time online, we are more opinionated than ever. In turn, people are looking to brands to do the same and stand for something – 40 percent of people say we want a purposeful brand. Tim Phillips demonstrates how the micro-friendship can start in as little as 30 minutes. Using sense of sight and smell to direct cocktail drinkers’ emotions, Seymour’s Parlour in London is using scent to plug into pleasurable and nostalgic memories, emitting the smell of freshly mown grass to summon images of spring and smoked pine to plunge guests into a cosy autumn evening. People are looking for instant connections to savour the here and now and bartenders often fit the bill. A new trend, ‘the micro-friend’, sees bartenders focusing on building relationships with customers in the short time that they have with them. 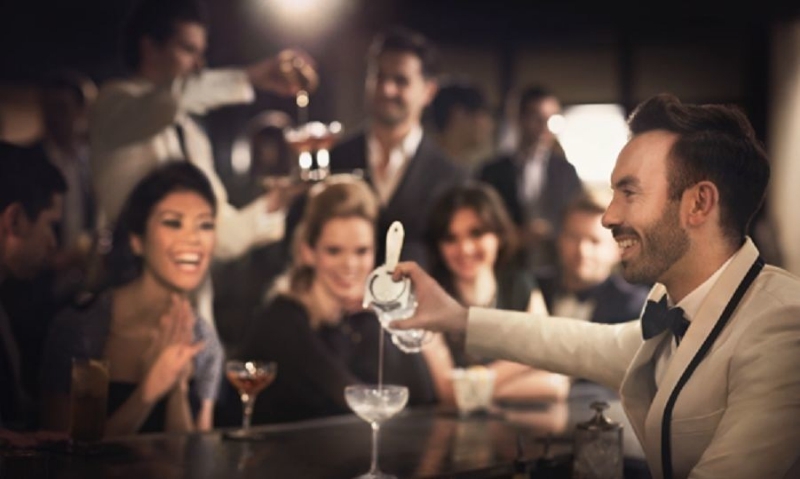 According to Australian Tim Philips, former WORLD CLASS Bartender of the Year, some ‘micro-friendships’ are built in as little as 30-45 minutes, equivalent to the time it takes to drink one cocktail. This has led to exciting career prospects as bars invest in their staff more than ever, sending them around the world to develop local heroes that will further grow the cocktail scene. Licoreria Limantour supports its bartenders who save up to train abroad in order to hone their skills, while Outrage in South Africa equips staff with all the skills they need – from sourcing key ingredients and tools to running a full service bar.